The members of the Safeguarding Committee are responsible for the ongoing development and implementation of best practice procedures and policy in every parish. The Committee were responsible for developing and launching the Safeguarding Children Handbook which was launched 7 November 2012 pdf. 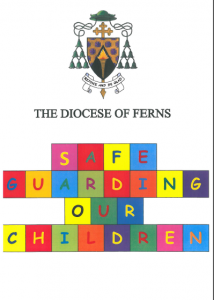 The National Safeguarding Office have recently updated the Church’s Safeguarding Standards and published a Guidance Document to support same. This can be review under Safeguarding Resources. All members of the committee have received training in child protection. Accredited trainers for the Diocese of Ferns are : Colette O’Doherty, Fr Aodhán Marken and Fr Gerald O’Leary.